As a chef I love being able to share my knowledge with others so that they can grow and develop. Whether it be staff members or customers, it is why I “do what I do” when others can be successful. Chef Eric Cartwright, CCC, is executive chef at the Ivy Award-winning Campus Dining Services at the University of Missouri, where he oversees menu development and quality control, as well as staff training and development programs. Originally from Gloucester, Va., Cartwright decided on a career in culinary arts as a teenager and went on to receive formal culinary training at Johnson & Wales University in Charleston, S.C. He continued to build his skills and knowledge through sous and executive chef positions at restaurants in the Mid-Atlantic region, including the five-diamond Dining Room at Ford’s Colony Country Club in Williamsburg, Virginia. Cartwright entered collegiate dining in 2000 at the nationally recognized Dining Services at Virginia Tech, where he served as sous chef and later executive chef for the university’s Personal Touch Catering service. Chef Cartwright was a member of Hormel Foods inaugural Culinary Enrichment and Innovation Program in 2008. Cartwright is active in the Central Missouri Chapter of the American Culinary Federation, and assists with career-building activities for a nearby high school. He maintains a focus on sustainability by working closely with local producers and participating in a comprehensive university composting and biodiesel program. In 2015 Cartwright was appointed to the Missouri State Committee of Dietitians as an at-large member. 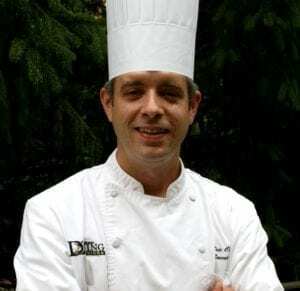 In 2010, the ACF-Central Missouri Chapter recognized Cartwright as Chef of the Year. He has successfully earned gold and silver medals in ACF sanctioned competitions and in 2014 was the Grand Prize winner in Custom Culinary’s “Think Fresh” soup contest. How do you incorporate the sustainability movement into your menu offering? Here at the University of Missouri we work closely with numerous local agricultural producers to provide the best, freshest product we can for our customers. Many of these producers use time honored methods of farming that care first and foremost about the land they are entrusted with. Ultimately their methods lead to sustainable practices and produce the highest quality products. Being able to share my knowledge with others so that they can grow and develop. Whether it be staff members or customers, it is why I “do what I do” when others can be successful. By no means am I an expert, but I have an insatiable passion for regional Mexican cooking. I’m always learning more and love to utilize the cuisine any chance I get. Learning how to execute a passion and vision of excellence through others. It is one thing to prepare a dish yourself, but when you have to rely on many staff members across campus to deliver the results, it is essential that they “buy into” the vision. Learning how to motivate people to achieve high results and recognizing that I cannot do it all myself proved a hard lesson at times, but ultimately the payoff is well worth it. 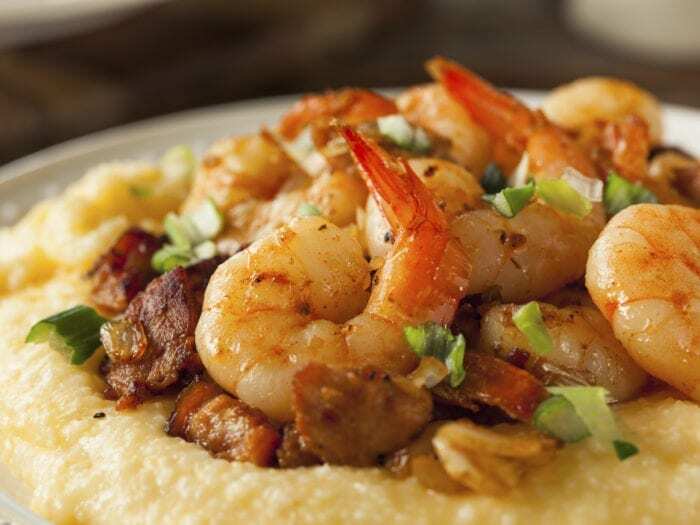 Grilled Shrimp & GritsHere at the University of Missouri we work closely with numerous local agricultural producers to provide the best, freshest product we can for our customers.